A lawsuit claiming that Twitter provides material support to terrorists by providing accounts to users who discus or promote terrorism threatens the First Amendment rights of Internet users and Twitter, EFF told a federal appellate court in a brief filed on Wednesday. The brief [.pdf] also argues that the lawsuit jeopardizes one of the Internet’s most important laws: 47 U.S.C. § 230, enacted as part of the Communications Decency Act (known simply as “Section 230”). The case, Fields v. Twitter, seeks to hold Twitter responsible for the deaths of two Americans killed in a 2015 attack in Jordan. The family members argue that by providing accounts to users they describe as posting content advocating for terrorism, Twitter violated a federal law that prohibits individuals and organizations from providing material support to terrorists. 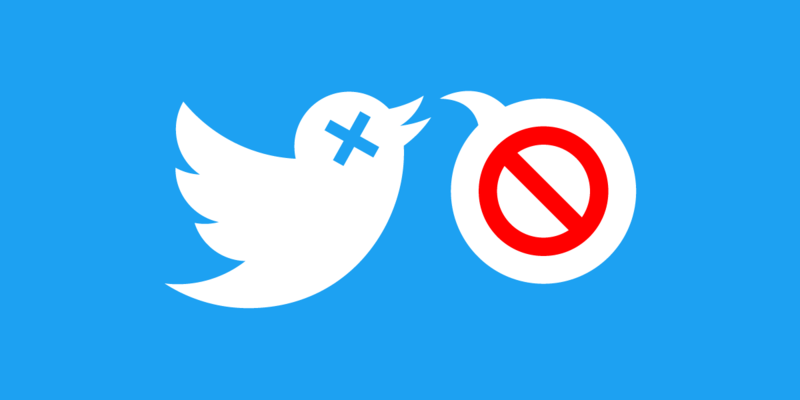 The federal trial court hearing the case dismissed the lawsuit in November 2016, ruling that Section 230 barred the claims and also that the family members had not shown that Twitter caused the attacks at issue in the case. The family members appealed to the U.S. Court of Appeals for the Ninth Circuit. In the brief, EFF and the Center for Democracy & Technology argue that making Twitter legally responsible for providing accounts to users who discuss or promote terrorism will violate the First Amendment in several respects. First, it will interfere with Internet users’ First Amendment right to access information on controversial topics or from unpopular speakers. “Depriving users of their right to receive and gather information discussing terrorism will do far more than simply limit which content is available online­; it will stunt people’s ability to be informed about the world and form opinions,” the brief argues. The brief also argues that making Twitter liable for the speech of its users will undermine Section 230’s legal protections for all Internet platforms. That will jeopardize the continued availability of open platforms such as Twitter, Facebook, and YouTube. “By creating Section 230’s platform immunity, Congress made the intentional policy choice that individuals harmed by speech online will need to seek relief from the speakers themselves, rather than the platforms those speakers used,” the brief argues. Finally, the brief argues that if online platforms no longer have Section 230’s immunity, platforms will take aggressive action to screen their users, review and censor content, and potentially prohibit anonymous speech. “Because platforms will be unwilling to take a chance on provocative or unpopular speech, the online marketplace of ideas will be artificially stunted, despite such speech being protected by the First Amendment,” the brief argues.